I don't know about you, but I am always on the hunt for an applicator that makes doing my winged eyeliner easier. I am not a makeup expert by any means, but I can manage my makeup with the right tools. 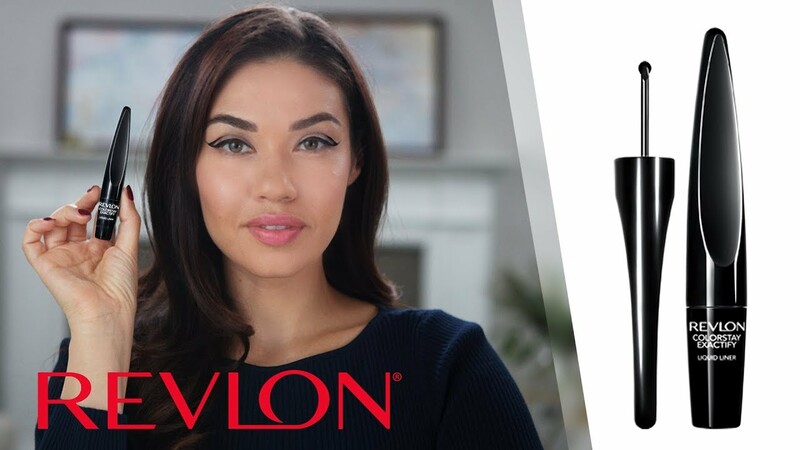 When I heard that Revlon had a new eyeliner with a roller wheel, I was instantly interested. Apparently, the point of the wheel is to give you more control. It sounded like a darn good idea to me, so I naturally I went to the nearest Ulta Beauty and bought it. The official name for it is Revlon ColorStay Exactify Liquid Liner and I bought it in the color Intense Black. Now, one thing I always tell myself about a new product is that you need to get used to it before you judge it. So, after I tore open the package and started attacking my eye with my new toy, I reminded myself of this as I stared at my pathetic reflection. I tried it again... and again... until I had mastered a decent enough looking wing where I felt confident leaving my room. The funny thing is, the one thing that they say the wheel is supposed to fix, somehow makes it worse. For one, it goes on kind of watery. Something about a felt-tip eyeliner makes me feel more secure in where I am placing the ink. Second of all, the wheel feels almost... slippery. Like if I breathe too heavily, I will end up with a roller-wheel line all the way to my hairline. Overall, I would probably not recommend this product. If you are extremely confident with your eyeliner, then maybe. But I would say stick to the felt-tip ladies.